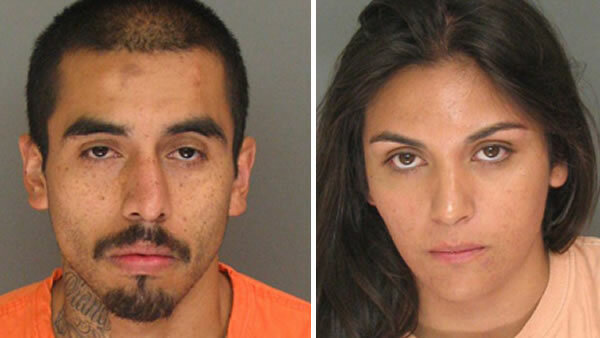 WATSONVILLE, Calif. (KGO) -- Watsonville police have arrested a man and woman who they say brought their 3-year-old son along during a string of armed robberies. Investigators say Antonio Bravo held up three women at gunpoint and stole their purses. They say his girlfriend, Diana Pacheco, drove the getaway car. The couple then used the victims' credit cards to buy things. Police used surveillance video from a fast food drive-thru to track down the suspects.